The craze, delirium, and the frenzy associated with cryptocurrencies refuse to slow down. Almost, every person, with surplus funds, wants to invest considerably in the cryptocurrency market. However, since the virtual currencies are extremely volatile, it becomes necessary to have an ample amount of knowledge of the relative market before executing an investment. In this post, we are going to talk about two popular blockchain-based cryptocurrencies; Monero and Ethereum. Secondly, we will have a look at the freshest addition in the cryptocurrency market, which is the Dagcoin. Dagcoin, since its entry into the relative market, is making waves among the cryptocurrency enthusiasts. While, almost, all the existing cryptocurrencies are merely considered as an investment option rather than an everyday currency, Dagcoin, apart from being a good investment option, has the primary aim of becoming a cryptocurrency which people can utilize for their day-to-day spending just like fiat currency. The main difference between Dagcoin and the significant majority of the existing cryptocurrencies is that Dagcoin completely removes blockchain from the equation and introduces what we know as a DAG or a directed-acyclic-graph chain. In the below sections of this post, you will learn more about Monero, Ethereum, and the Dagcoin. Monero is a fork of bitcoin and is a blockchain-based decentralized cryptocurrency that focuses more on privacy and anonymity of transactions. Cryptocurrency forums are regularly flooded with questions like how to buy Monero, where to buy Monero, and where to store Monero. Since Monero provides users with a platform to send and receive money, securely and anonymously, such unparalleled popularity is understandable. Moreover, people are particularly interested in how to buy Monero cryptocurrency and how to mine for Monero because similar to Ethereum; there is no maximum supply of Monero. Several cryptocurrency experts and even the price prediction for Monero (XMR) go with the popular opinion that Monero has the ability to do well long-term. As an example, a five-year price prediction for Monero states that its price might get close to $2000 in the year 2023. Hence, if anybody is investing a $100 in Monero today, there are high chances that he/she might get $600 in 2022. This gives another solid reason for the cryptocurrency enthusiasts to invest in Monero. If you are also interested to invest in Monero and are looking as to where to buy Monero coin and who accepts Monero, now seems to be the right time to invest in the same for anyone who is keen to cash in a good deal of long-term gains. Speaking about the block time of Monero, the same is close to 2 minutes as compared to the 15 seconds block time of Ethereum. This is what is making cryptocurrency investors bend over more towards Ethereum as compared to Monero. However, the privacy and the anonymity of transactions provided by the platform of Monero go in its favor and, in long-term, is sufficient to keep the coin in an upward trend. Ethereum is not a cryptocurrency. In fact, it is a platform with its own cryptocurrency known as Ether. Ethereum is a platform for smart contracts and facilitates the launch of other cryptocurrencies or Altcoins as well. Several Altcoins have launched their ICOs on the platform of Ethereum using the ERC-20 token. 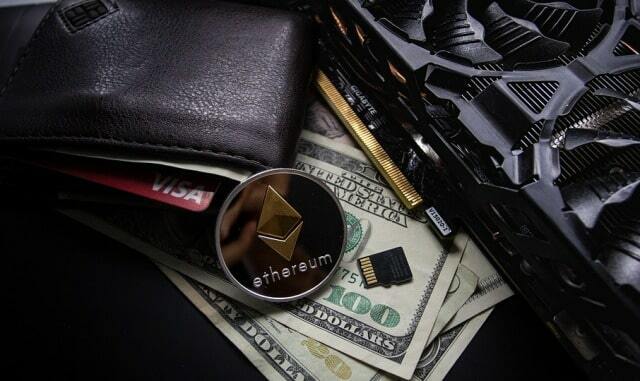 Cryptocurrency enthusiasts are particularly interested in how high Ethereum will go, is Ethereum mining profitable and how much you can make mining Ethereum due to the Ethereum price predictions 2020 and the long-term Ethereum price prediction 2030. Going by the opinion of cryptocurrency experts, ETH will continue to grow for the next 5 years. A popular study indicated that going by the current trend, the price of ETH by 2023 will be close to $6700. Hence, if you are thinking will Ethereum rise or will Ethereum crash, this Ethereum price projection will provide you with the required answers. Speaking about how long does Ethereum takes to send and Ethereum transfer time, the block time of Ethereum is 15 seconds. Therefore, for a transaction to confirm in Ethereum, cryptocurrency holders do not have to wait for minutes and sometimes even for hours, in the case of bitcoin. Moreover, since there is no cap to the production of Ether, there is no limit on how much can you make mining Ethereum. All these points, indeed, go in favor of Ethereum making it an extremely favorable cryptocurrency for anybody who is looking to invest their surplus funds. However, since the cryptocurrency market is highly volatile, similar to the traditional stock market, it is best to diversify your investments across different cryptocurrencies. What Is Dagcoin And How Is It Different? Dagcoin, as said in the beginning, is the freshest addition to the cryptocurrency market and has already started making headlines. The fact that Dagcoin completely removes blockchain from the equation has, indeed, intrigued the cryptocurrency enthusiasts. The traditional blockchain is suffering from the problems of increasing transaction costs and increasing transaction confirmation time. On the other hand, Dagcoin is based on DAG-chain or directed-acyclic-graph-chain. While the traditional blockchain requires an external miner for the transaction confirmation process, DAG-chain completely removes the role of a miner. A transaction, in the case of a DAG-chain, receives its confirmation by referencing the transaction done prior to it and so the chain continues. This solves the problem of increasing transaction confirmation time being faced by the traditional blockchain based cryptocurrencies. Moreover, DAG-chain is highly scalable. With the increase in a number of users, the performance of DAG-chain, unlike the traditional blockchain, will keep on getting better thereby decreasing the transaction cost in the long run. Both of these factors make Dagcoin a highly favorable cryptocurrency in the coming future. Dagcoin, though it is a good investment option, has the fundamental aim of becoming a cryptocurrency that people can spend on their daily shopping. The developers of Dagcoin do not want to displace fiat money, instead, they want to provide people with an alternative payment method. Dagcoin has got an entire ecosystem around it including Dagpay, DagWallet, Merchant Finder, and SwipeX. While DagWallet stores the Dagcoin owned by a person, Dagpay is the platform through which a person can send/receive Dagcoin. Many merchants are joining the Dagcoin community and you can locate each one of them on the Merchant Finder platform. If you wish to invest in Dagcoin, you can always use the SwipeX platform which enables you to trade Dagcoins and other cryptocurrencies. The active community around Dagcoin also contributes to its rising popularity among the cryptocurrency enthusiasts. Overall, Dagcoin has a pretty bright future and if blockchain is not able to solve the issues which it is facing, as discussed above, time is near when blockchain may become obsolete. I hope you enjoyed this blog post about the major blockchain cryptocurrencies like Monero, Ethereum and Dagcoin.